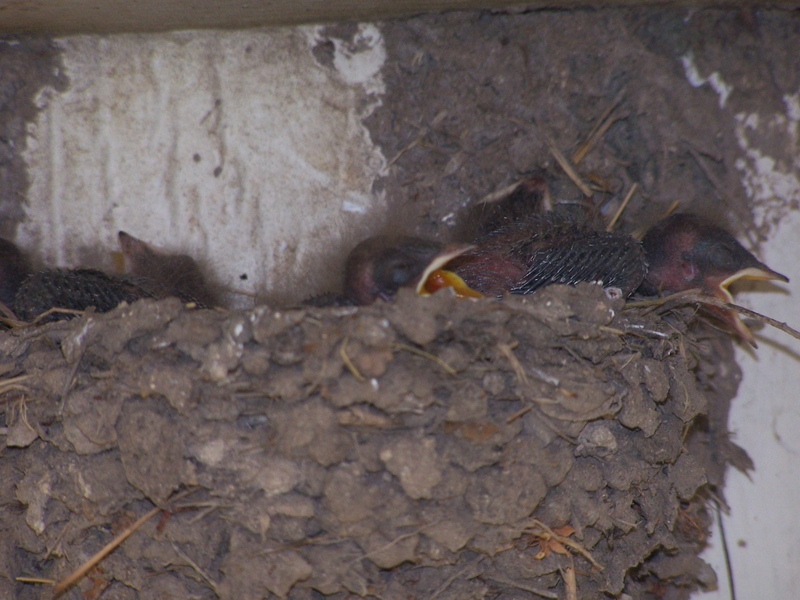 The baby swallows have hatched and are growing like weeds. Hope nobody falls from the nest. There are five babies in this little nest. The big toad has been gorging himself on june bugs. I love to watch him gobble them up. Quite entertaining watching him (or her?) and the smaller toad chasing the bugs in the evening. Look how fat he’s gotten! Look at this gorgeous quilt top! It was made by members of the local guild, and is going to a rehab facility for wounded soldiers. I am donating my quilting services for it. I am going to quilt it with Baptist Fans. I think those will look fab on this, don’t you? 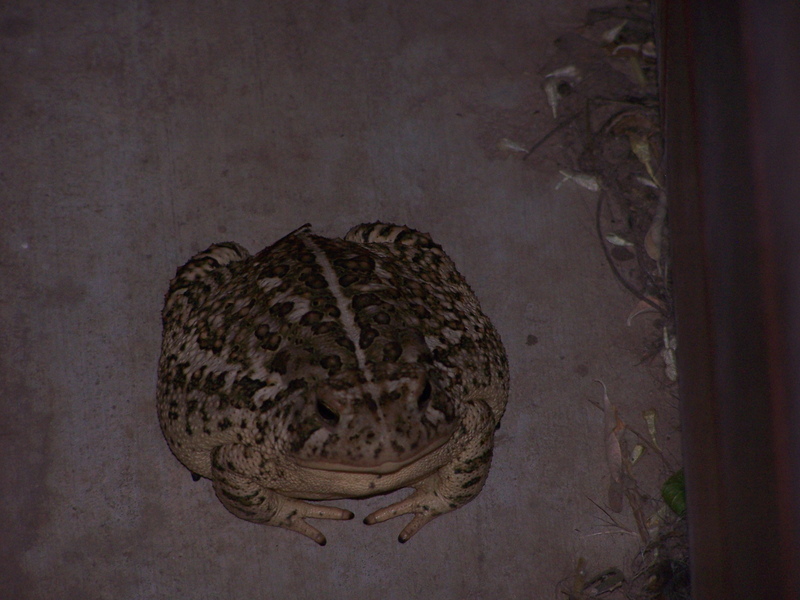 That is one fat toad. I love the quilt and BF will look gorgeous on it. I love the baby photos! 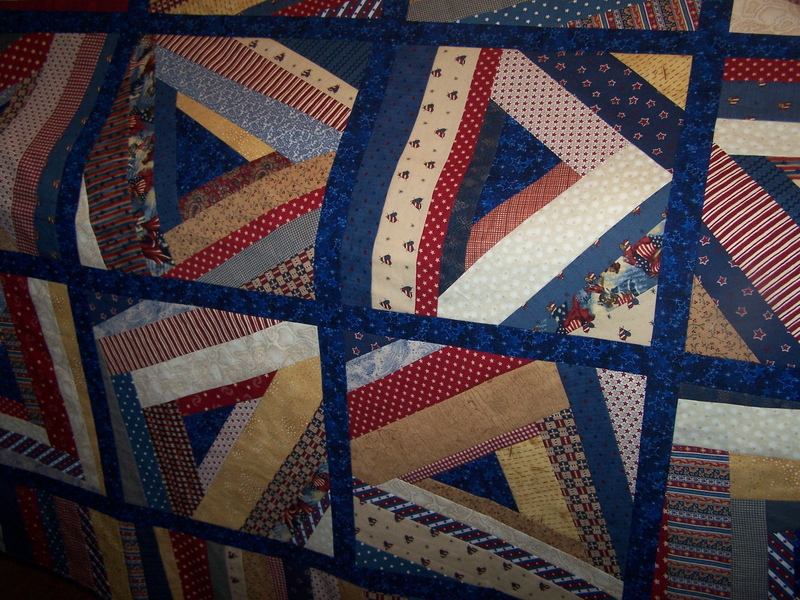 The quilt will look great with BF quilting. 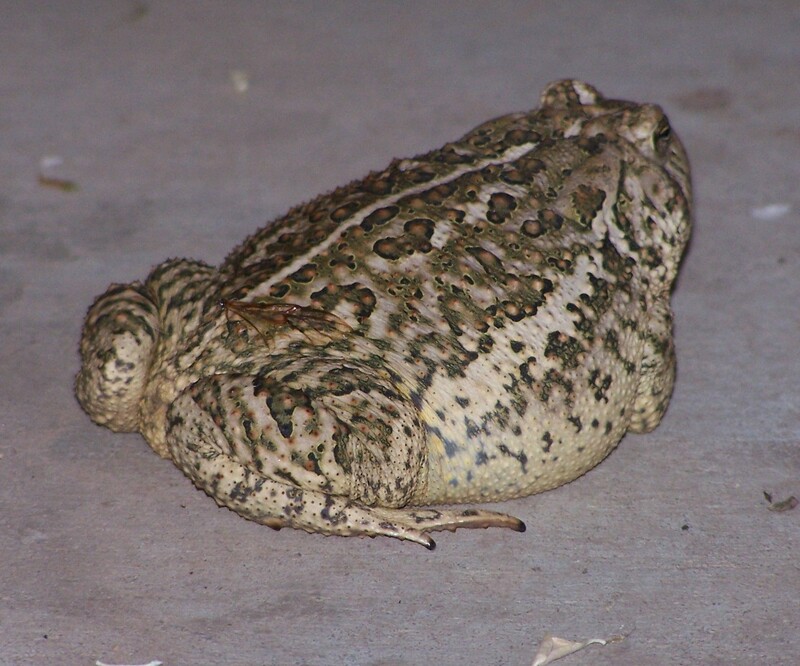 That is one fat and happy toad!!! LOL Go Mr. Toad go!! What cute baby birds!!!! And the quilt is absolutely fabulous!!!! Not long…I want to say it’s three to four weeks from birth to fledgling. Then the parents will start over on a new batch. Makes for a mess in the corner of my front porch, right by my front door, but I don’t have the heart to not let them nest here. I love the pictures of the birdies and the toad! Thanks for sharing. The quilt will look gorgeous. Don’t forget to show us the finished work, okay? 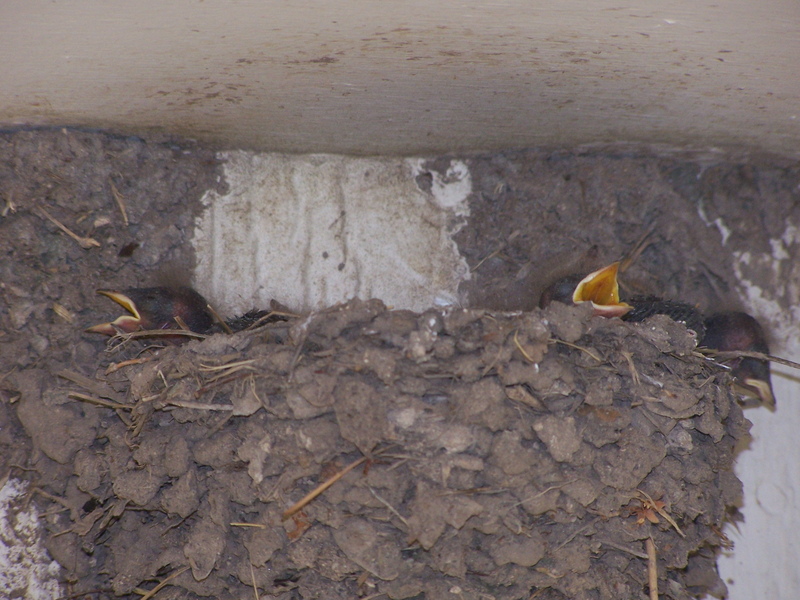 Aren’t those little open mouths so cute! Love this quilt. I’m sure your quilting will give it just the touch it needs. Such a great cause. The backyards are like their own world. Love the birds. Got a lecture from robin for interrupting the early morning worm efforts. Love the birds but you can keep the crackles. That frog ought to be my mascot. « LOL! Let’s play I spy!